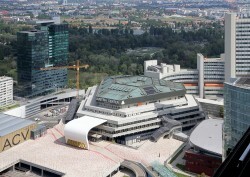 Austria's largest congress centre, the Austria Center Vienna, recently presented its modernisation concept until 2022. This will make completely new event formats possible and at the same time make the space around the house more attractive to the public. This is the largest construction project in the company's 30-year history.